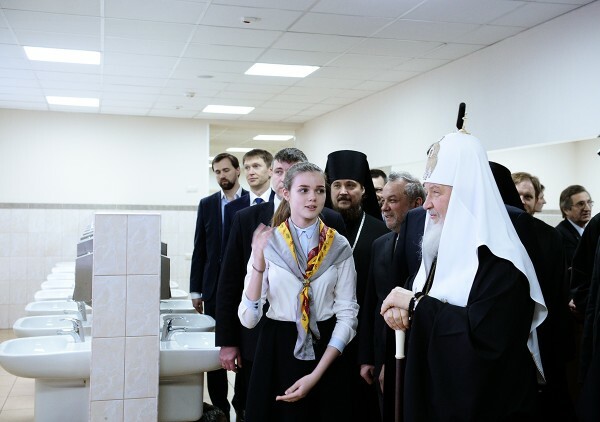 Moscow, March 13, Interfax - Patriarch Kirill of Moscow and All Russia visited St. Basil the Great Gumnasium in the Odintsovo District near Moscow. In a company of its director and spiritual guide, the primate went through the classrooms and sport gyms, and then attended the History lesson at the sixth form, the Russian Church reports at its website. Then the primate passed to the assembly hall where he met with teachers, pupils and their parents. “Self-restriction, ability to choose the difficult way – it is impossible to achieve success without these things. I wish you the ability to choose not the easiest way in life and then you will achieve great results,” he said.